Consistency and patience are key. Some of us out there already understand the wonderful characteristics of the Bulldog. These dogs are affectionate, friendly, courageous and intelligent. These traits, combined with a Bulldog’s distinctively lovable face, make the Bulldog a wonderful addition to any household. However, there is one trait that Bulldogs also tend to exhibit — bullheadedness. They can be incredibly stubborn, which makes training them somewhat difficult. But don’t despair. We’ve put together 5 tips to help you out. 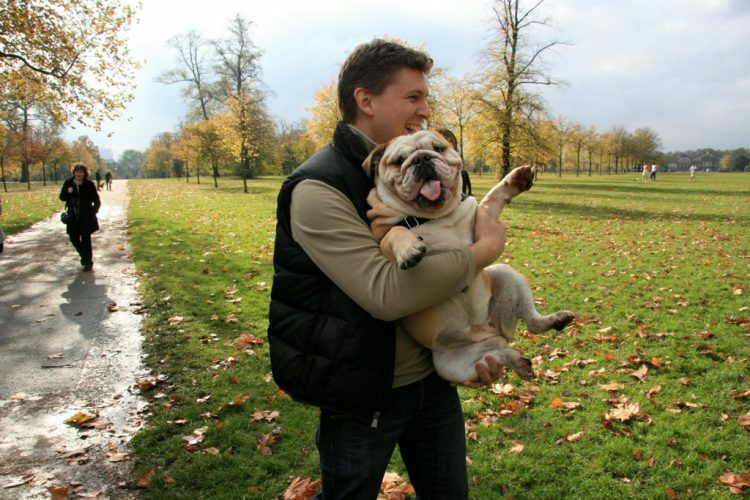 The Bulldog needs a good amount of exercise every day. Any dog who doesn’t get enough exercise has the potential to display negative behaviors, including stubbornness or destructiveness. Before starting a training program, make sure your Bulldog is getting the exercise he needs to burn off some of that stored-up energy. This is a debatable topic, but if you are comfortable using a crate, do so. Because dogs of all breeds dislike soiling the areas they sleep in, a crate can be an invaluable tool when it comes to house-training. Your Bulldog won’t want to urinate or defecate in his sleeping area, so he’ll wait until you come to let him out. No dog should be left in a crate indefinitely. Remember this is a tool, not a prison. But while you’re house-training, the crate can make a big difference. When training your Bulldog, it’s important to let him know you’re the boss. Bulldogs are smart and, again, stubborn. This makes them want to be the leader, so now “you have to assume the role of leader and communicate appropriate behavior in terms that his canine mind will understand,” says Dog Fancy. Use a firm — but not angry — tone of voice. Reward with praise, toys or treats. Be consistent. Inconsistent training is poor training. Never use violence or strike your Bulldog. 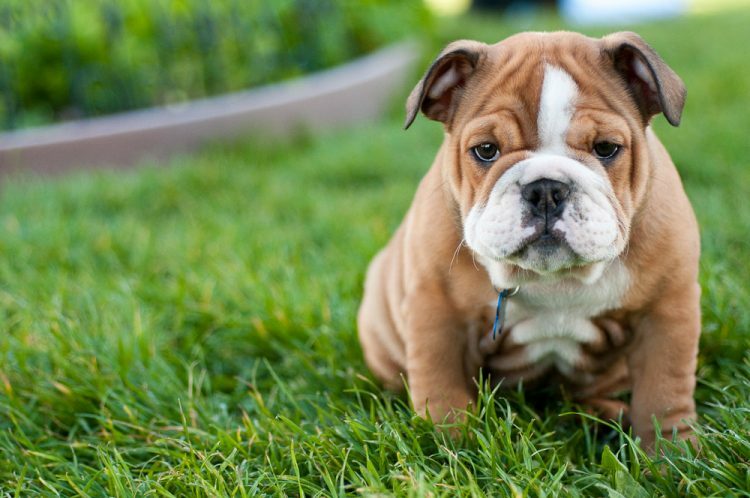 Plan to start your Bulldog’s training as soon as you bring him home — in puppyhood if possible. “The first 20 weeks of any dog’s life are the most valuable learning time,” says Dog Fancy, “a period when his mind is best able to soak up every lesson.” Take advantage of this time and start that training early. Expect accidents and mistakes at first. Your puppy is like a toddler just learning how to walk. He’ll have to take a few tumbles before he “gets it.” In the meantime, have patience and be consistent. When your puppy nibbles on your hand, it’s usually an “Aww!” moment. However, this “Aww!” is going to rapidly change to “Ow!” as your Bulldog grows older. Bulldogs were originally bred to attack bulls. This should tell you just how strong their jaws get as they grow out of puppyhood. Allowing this behavior as a puppy but then disciplining for it in an adult will confuse your Bulldog, and the message you are trying to send may not be fully received. Cute behavior is not always positive behavior. When it comes to a bulldog, patience, consistency and positive reinforcement are key to successful training. This lovable breed is well worth the time it takes to train the dogs.